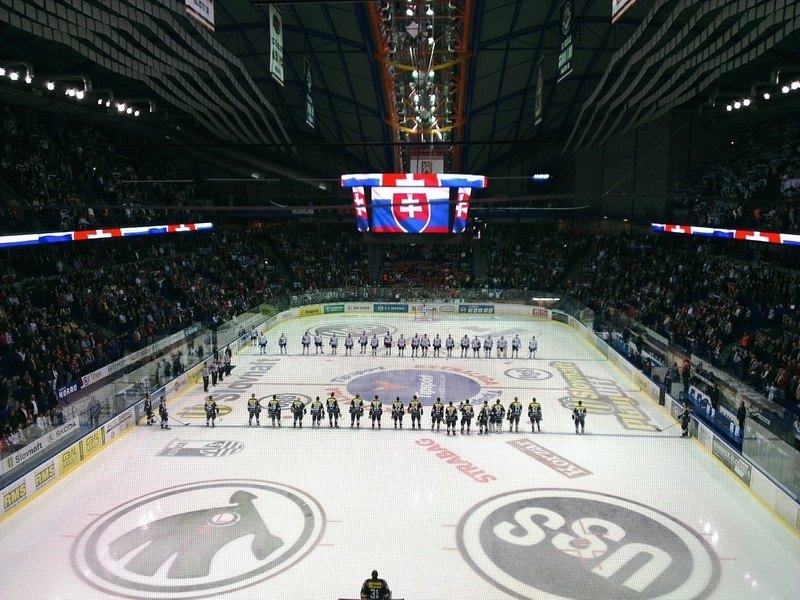 In the finals of the Czech Extraliga, PSG Zlin skated away from their Moravian rivals HC Kometa Brno to win the championship 4-1. Brno shocked season-long league leader Sparta Praha in a hard-fought seven-game series to advance to the finals but is struggled to maintain intensity, form and focus against their motivated Moravian foes. 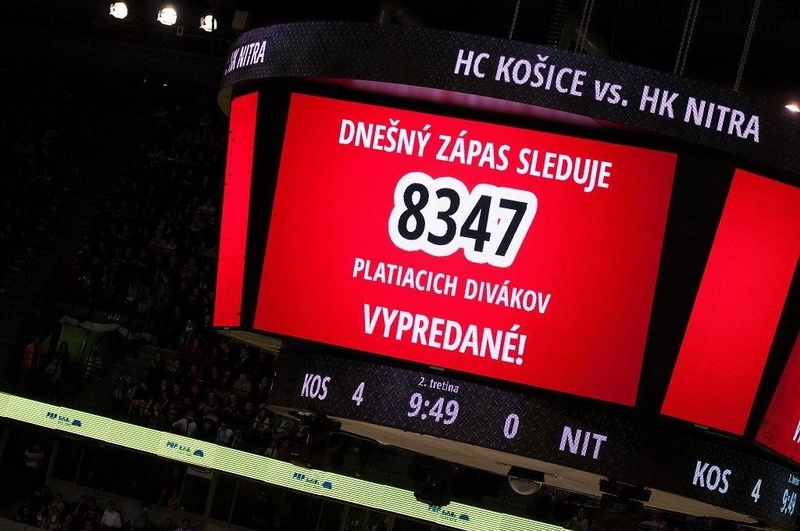 Colosseo’s equipment was installed in Kometa’s Rondo Hall in 2009 and was integrated into the existing scoreboards and advertising fasciae. 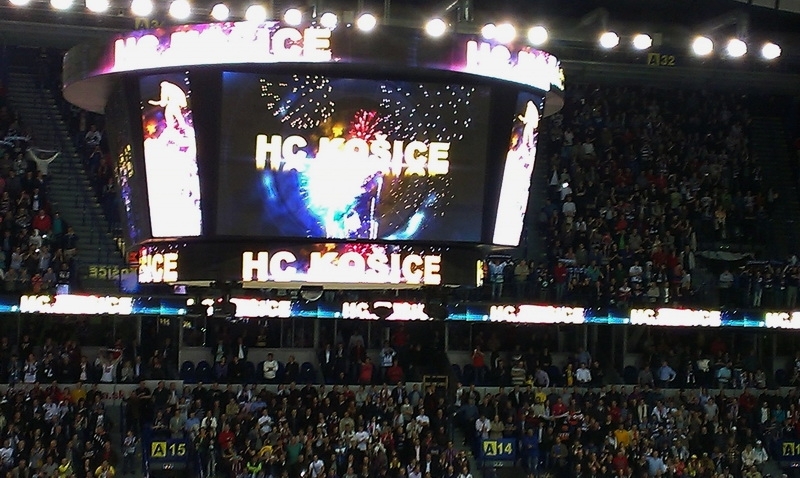 Fans enjoy an excellent experience in Brno as our Video Goal Judge displays results on the LED scoreboard and all video output is controlled with our Colosseo Director 16HD. Three overtime games took Magnitogorsk back from the brink of elimination to winner-takes all one-game shot for the title and Magnitogorsk did not disappoint their fans. After being down 2-1 early in the series, Magnitogorsk came back to lead the series 3-2 but Lev Praha fought back with a 5:4 OT victory that sent the series to the winner-take all game in Russia. Behind captain Sergei Mozyakin, the Russian team sealed the deal winning 7:4 and taking home the Gagarin Cup. Congratulations to all the players for an incredibly exciting series that will surely cement the reputation of the KHL as one of the top leagues in the world. HC Bolzano, who joined the Austrian Erste Bank Eishockey League (EBEL) just this year, beat EC Red Bull Salzburg 3:2 in a thrilling overtime match in the fifth and final game of the series. The Foxes went down early 1:0 when the Red Bulls had a powerplay, but the Foxes answered back in the 2nd period only to have another goal scored on another powerplay just two minutes later. Again, though, the foxes fought back and leveled the score 2:2 at the end of the period. After a hard-fought but scoreless third period, the game went to OT and was decided in the 72nd minute of play when Ziga Prance slotted home the winner. Colosseo participates in EBEL league as a technology partner of Albert Schutz Eishalle in Vienna, home of Vienna Capitals, where we've installed a Giant LED screen, our Video Goal Judge, Colosseo Director 24HD, Colosseo Timer and Colosseo Flow. Boston vs. Detroit, St. Louis vs. Chicago, The Rangers vs. the Flyers, the Avalanche vs. the Wild, Tampa vs. Montreal, Pittsburgh vs. Columbus, San Jose vs. the LA Kings and the Ducks vs. Dallas are the first round NHL matchups now taking place. It’s the first time in FOREVER that original NHL franchises Boston and Detroit have faced off in the playoffs and the series is a doozy. Colosseo is now involved in NHL action after supplying the Verizon Center, home to the Washington Capitals with a Single Media Platform including our Colosseo Director 24HD, a 3D Visualizer and Colosseo ShowManager & Designer. We are proud to be part of the NHL and hope that next year there will be playoff games with the Caps involved!